and illusionists, our team can call upon unlimited resources for all projects. Flaming sunsets. Flashes of lightning. Mysterious polar lights. Spectacular natural lighting phenomena have always entranced mankind. The lighting productions of AO Creative, with their wealth of effects, quicken the senses in an overwhelming, unprecedented way. Lights flood buildings and objects – even whole landscapes – with fabulous colours. The heavens become a giant canvas for international lighting artists. A feast for the eyes. Accompanied by mystical, mood enhancing sounds. Augmented reality merges reality and virtuality. The audience is given an expanded experience during the show. The possibilities for technical advancement and user engagement are endless. AO Creative is able to create customized designs based on desired themes, genres and needs: AR fireworks, interactive advertising, show enhancement. There are no limits. There is also no limit to the amount of people that can use the app. User can have instant access to the show once the app is downloaded on their phone. All AR apps will be developed with various levels of social media based integration that can help to bring brands to a viral level of fame. Fantasy holds sway. Shapes melt away. The laws of physics are subverted. It can be poetic, playful, nostalgic or futuristic, entertaining or sublime. All things are possible. Virtually any large surface, whether vertical or horizontal, lends itself to projection technology.  Whether first nights, anniversaries, product launches, festivals or sporting events: AO Creative provides for sensational highlights, whatever the occasion. Laser is an allrounder in creating atmospheres and accents. With our artistic usage of latest technology we can create lighting elements to let the audience dream. We can create an underwater theme or we can bath the guests in a never seen northern light dream. Outstanding 3D projections, mapping or most colorful aerial beam effects shows – laser technology offers a wide range of effects. True magic of hundreds of flying lights. Using high sophisticated drone hardware and software in-house development from one source AO Drones create a completely new kind of entertainment. With hundreds of drones we stage spectacular images in the night sky: Company logos, fascinating storytelling or never seen choreographies – our worldwide production team creates unique highlights for your event and a mind-blowing communication with your audience.